for $304,900 with 4 bedrooms and 2 full baths, 1 half bath. This 2,362 square foot home was built in 2002 on a lot size of 0.26 Acre(s). Just Imagine calling this place home!! Welcome to a wonderful life in The Preserves! 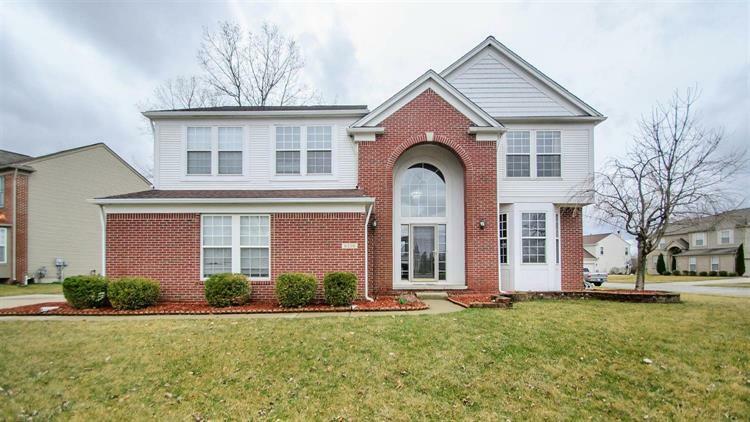 This home features a grand master suite along with 3 other sizable bedrooms, complete with 2 and half baths. Breathtaking and striking foyer with dual staircases are sure to impress any visitor. Lustrous oak floors throughout the kitchen, formal dining room, and 2 story great room shine, as the morning sun glistens through this homes many floor to ceiling windows. With all this space in the kitchen you can cook like celebrated chefs. Other amenities that this home features are: Full basement, first floor laundry, 2.5 car side entry garage, and a large deck for summertime entertaining. Words just can't express the sheer beauty that this home emits! And just look how close it is to EVERYTHING!!! Parks, trails, golf courses, free-ways, you name it, ..... you got it! There's even a 1 yr home warranty included.